The creative process is not linear. As women neither are we. We ebb and flow with the moon, the seasons and our menstrual cycles. Somedays I feel on fire creatively and the words just flow. Some days no matter how much I want to write the words aren't there. The creative process is not linear. As women neither are we. 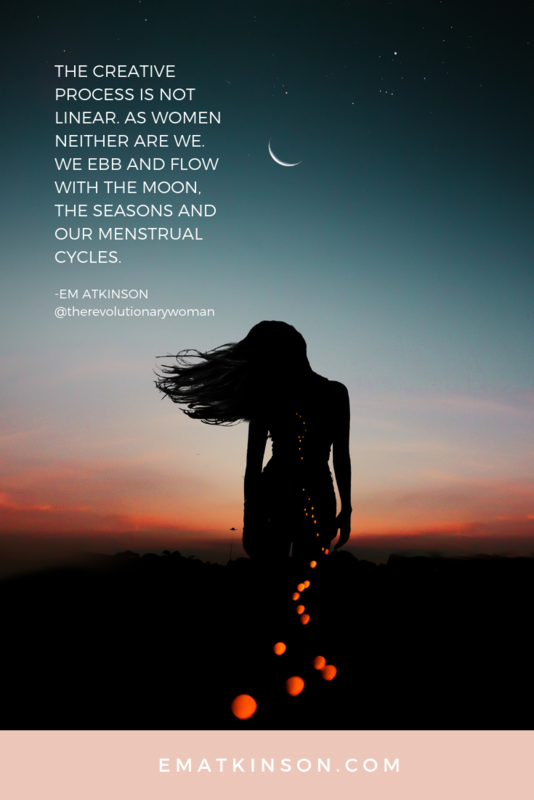 We ebb and flow with the moon, the seasons and our menstrual cycles. Somedays I feel on fire creatively and the words just flow. Some days no matter how much I want to write the words aren’t there. A few weeks ago I shared with you the one thought that ignited a HUGE year of personal evolution and healing for me. If you missed it you can read it here. 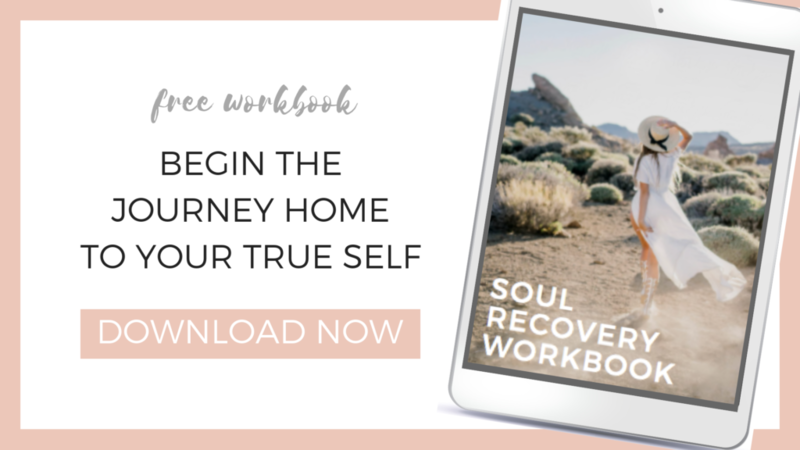 In that email I promised to email you the following week with everything that supported my growth and healing during this huge year of evolution. And I didn’t. I apologize. Honoring my cyclic nature is a learning process and one I’m still navigating. After spending 2 more hours in front of the computer today I decided to scrap it. Sometimes no matter how much we want something to be, it’s just not meant to be! So here’s me being real AF, honoring who I am and that I’ve hit a huge amount of writer’s block! I’ve included webpage links to all the programs, people, books, etc. so click through if anything sparks your interest. Reparenting my inner child & working through abandonment trauma. This book was key. And one of the biggest things, I became a YES woman! When opportunities came up I said YES! Anytime I felt resistance I leaned in and said YES. So many doors have opened by becoming a yes woman! Here’s to us embracing our imperfections and honoring who we are in every aspect of our lives.